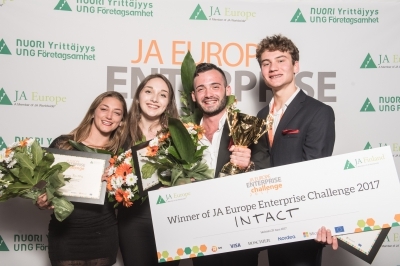 The Junior Achievement (JA) Europe Enterprise Challenge (EEC) is JA Europe’s annual celebration of the achievements of its Start-Up programme students and their businesses across Europe. 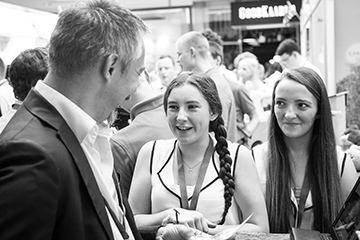 The Start-Up Programme annually engages over 14,000 University students from 300 schools, providing entrants with an opportunity to develop and run a business within a safe environment and under the guidance of business mentors. This year’s European competition final, showcasing the best start-ups from each country, will take place in Oslo, Norway, on 24-25 June. 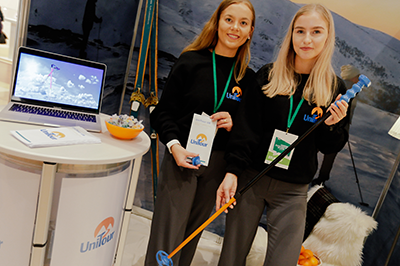 Special raincoats for bags and umbrellas for dogs, dishwashing gloves and wooden stereo headphones - these are just some of the new business products that have been created in student joint ventures by students from Latvia, Finland, Estonia and Sweden. 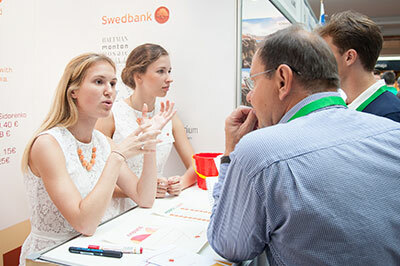 For three years in a row, students from northern European countries took part in the project “Central Baltic Student Enterprises without Borders” (CBEwB), attending various conferences, camps and fairs to get an idea of the international business environment. 55 educational institutions, 480 students, 79 international joint ventures and hundreds of new, useful contacts - this is the balance of this international event! • 1,600 young people aged 18-29 who are not in employment, education or training (NEET) will participate in the project between 2018 and 2021. • 500 young NEETs will find jobs, 400 will participate in a business incubator, and 40 will start new businesses. • NEETs in Entrepreneurship is implemented in 4 European countries, Bulgaria, Italy, Romania and Spain, with the support of experts from Norway and Belgium. The project is funded by Iceland, Liechtenstein and Norway through EEA Grants and Norway Grants. 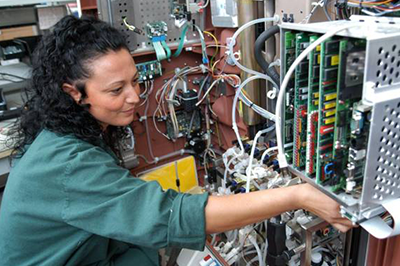 The EU is committed to creating 10,000 new jobs in the European raw materials sector in the short term. JA Europe and EIT RawMaterials’ partnership blends entrepreneurship and STEM education to bring innovation focusing on raw materials into the classroom in Bulgaria and Romania. 17 outstanding primary and secondary schools championing entrepreneurship education received the Entrepreneurial School Awards on 7 November in Vienna. The Entrepreneurial School (TES) Awards is an annual recognition, led by JA Europe, which aims to provide a supportive and motivational framework to guide schools, headmasters and teachers from across Europe in their entrepreneurial learning initiatives. Second year of ‘Inventing the Future’ project aims to expose students to key challenges related to material innovation in the manufacturing industry. 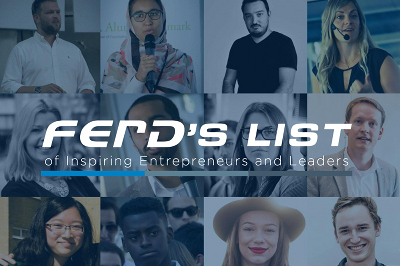 Six outstanding young entrepreneurs and leaders from six different countries have been selected for this year’s FERD’s LIST. Their stories show there is a new kind of entrepreneurship out there. FERD’S LIST is an initiative of JA Europe to recognize and celebrate young men and women on a unique path to “creating enduring value and leaving lasting a lasting footprint”. 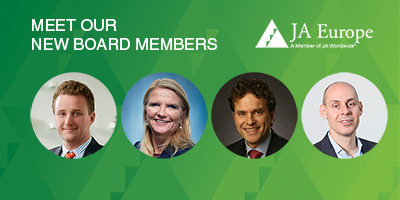 Junior Achievement (JA) Europe today announced that Adam Warby, CEO of Avanade, Inc. has been selected as JA Europe’s new Chairman of its Board of Directors. 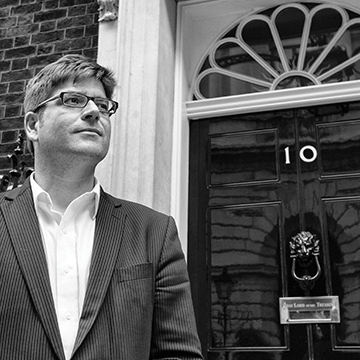 Warby will take over from Accenture COO, Jo Deblaere, who has been in the role for the last six years. 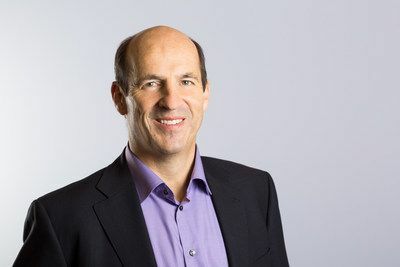 Warby, who is celebrating his 10th anniversary as Avanade’s CEO this year, has a track record of driving growth through innovation and under his leadership, Avanade has grown to over $2.4bn in sales and 34,000 professionals in 26 countries globally. 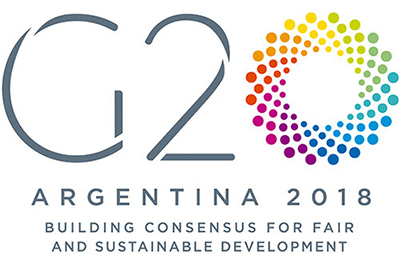 G20 governments must team up with business communities to revamp the world’s outdated education systems that aren’t preparing young people for the job market of the future. This is one of the main recommendations in JA Worldwide’s policy paper Education, The Future of the Labour Market, and Youth Skills, which will be presented at the first-ever G20 meeting of Ministers of Education in Argentina on Wednesday. 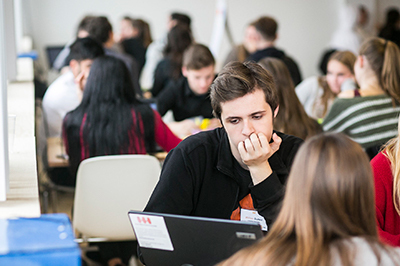 After a year-long entrepreneurial experience, developing their own company from the idea to reality, over 200 students gathered in Belgrade (Serbia) to compete with their counterparts from across Europe. 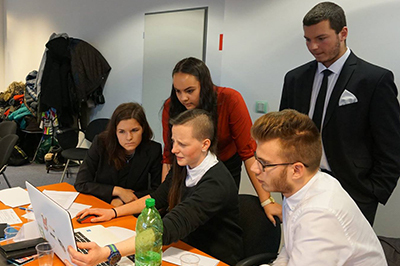 39 student-teams took part in the European competition, as part of JA Europe’s flagship JA Company Programme, which gives them the opportunity to set up and run a real business, supported by teachers and business mentors. What does software that makes subtitles audible to dyslexic cinema goers have in common with the recycling of automotive parts into new products? 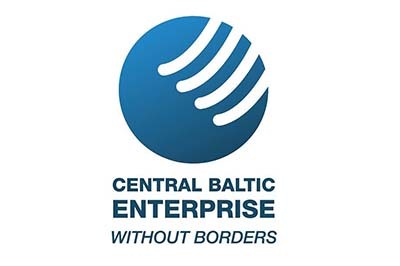 The international business education project "Central Baltic Student Enterprises without Borders" (CBEwB) is completed and within it pupils from Finland, Sweden, Estonia and Latvia have established more than 50 international joint ventures and participated in international fairs and innovation camps in the project countries. 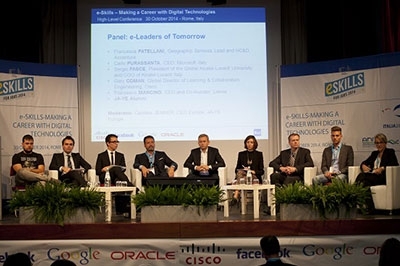 The European Finale of the “Inventing the Future” initiative took place on 15 June. 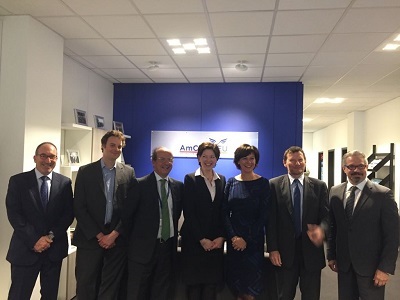 Throughout the school year, the programme launched by JA Europe and Arconic Foundation involved some 500 young people (15-19 years old) supported by Arconic volunteers in France, Germany, Hungary and United Kingdom. 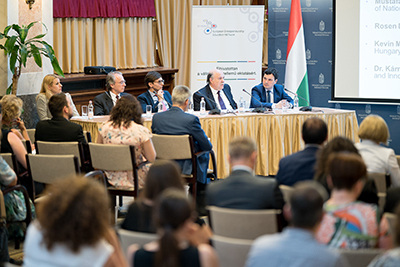 On 4 June, JA Europe organised a Round Table in Budapest in the old Treasury Hall of the Ministry of Finance. The event gathered around 60 representatives from Ministries, the business community and education institutions. Andrea Bocskor, Hungarian MEP and MEP Ambassador of the EE-HUB opened the event, and was followed by Dr. György László Secretary of State for Economic Strategy and Regulation of the Ministry of Innovation and Technology of Hungary. 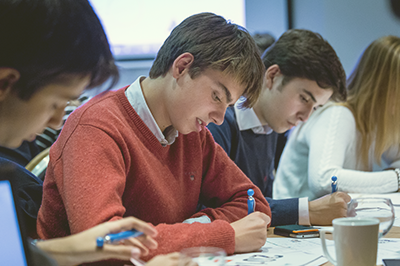 For the second consecutive year, Bloomberg and Junior Achievement (JA) Europe are partnering to equip more than 1500 students with an entrepreneurial mindset and offer them the opportunity to benefit from the expertise of around 75 Bloomberg employees. In recent years, numerous surveys about the future of work have been trying to identify key skills for tomorrow’s jobs. There is a clear consensus on the fact that industry leaders were unsure if they could actually find these skills even though they conceded that it is precisely these skills that are critical to tomorrow’s business success. A vast majority of CEOs say that even today they struggle to find recruits with the levels of creativity and skills in innovation their businesses need. 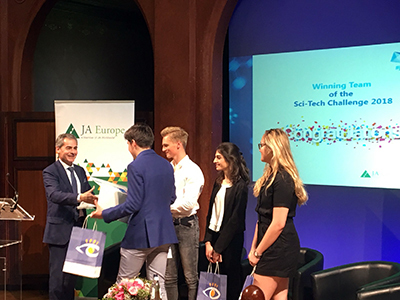 • The 9th European final of the Sci-Tech Challenge, organised by JA Europe and ExxonMobil, took place on 17 May 2018 in Brussels. This year’s theme was logistics, more specifically building a European supply chain taking into account the environmental impact. 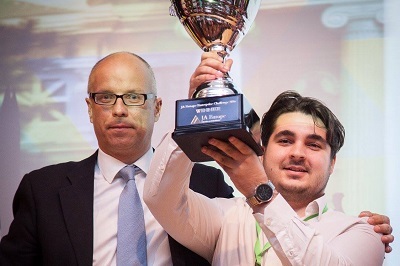 • Among the five teams (international teams from Belgium, Italy, the Netherlands and Romania), the winning team was identified during an award ceremony held at the Solvay Library in Brussels. • The team developed a highly-innovative approach to transportation networks for supplying food, clothing and furniture by using renewable energy such as hybrid trains and trucks using biofuels; solar panel and wind turbines. 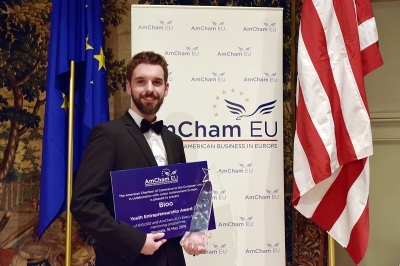 The American Chamber of Commerce to the European Union (AmCham EU) and Junior Achievement Europe (JA Europe) are delighted to announce that Bioo, a Spanish start-up, is the winner of the sixth AmCham EU Youth Entrepreneurship Award. Bioo created a unique tool to generate electricity from plants in a sustainable way. With this technology, the start-up develops a range of applications, such as phone chargers or WiFi connection terminals. Special invitation – Join the JA Global Youth Forum in Mexico this Summer! 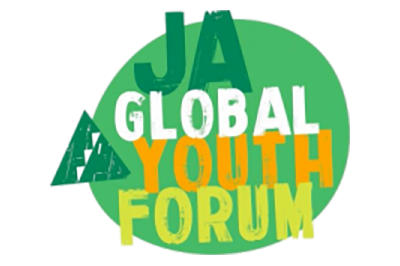 Thanks to JA Americas, Delta Airlines and JA Worldwide, JA Europe is delighted to offer a free pass* to 10 students from Europe to the JA Global Youth Forum in Mexico, 8th-13th July 2018. ManpowerGroup today launches the second year of its Ready for Work Award in partnership with Junior Achievement Europe. The program helps students in 40 European countries build soft skills and nurture their learnability to be work ready upon graduation. What would happen if we put an eighteen-year-old in the shoes of a CEO from a major multinational? 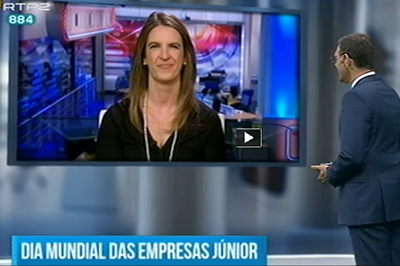 JA Europe did just that, in a work readiness awareness raising initiative called Leaders-for-a-day on April 16. 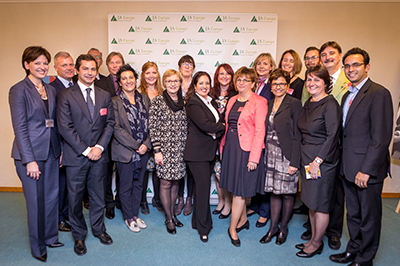 JA Alum from all corners of Europe got the chance to shadow top executives from the private and public sectors. 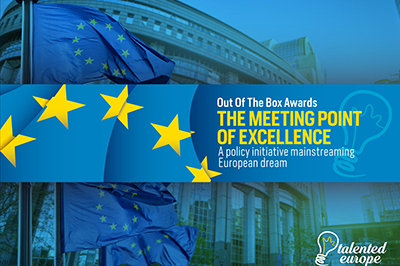 On 11 April, JA Europe and ERT received the “Out of the Box Award 2018” for the “Why Europe Matters” campaign. The award recognizes good practices of collaboration between companies, the civil sector, universities and young people in promotion of the European dream. The “Why Europe Matters” campaign was selected thanks to its combination of the promotion of entrepreneurship, solidarity, inclusiveness and citizen participation. JA Worldwide and FedEx Express have enjoyed a longstanding relationship as part of the company’s commitment to encouraging global entrepreneurship. FedEx Express has supported the JA Company Programme – our flagship entrepreneurial education program – for over 17 years. 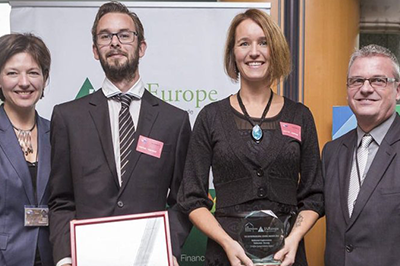 The Company of the Year Competition that took place in Brussels last year marked the tenth anniversary of FedEx continuous support for JA Europe. 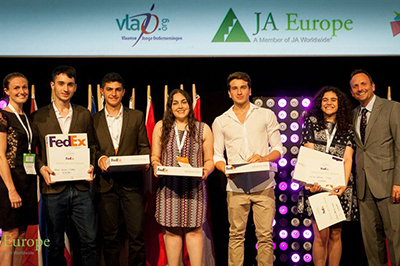 Each year, thousands of JA alumni enter Europe’s economy as potential entrepreneurs. This year, some 37 young people who have participated in a JA programme, have made it past the initial start-up phase and have a business concept with strong growth potential, applied for the award. 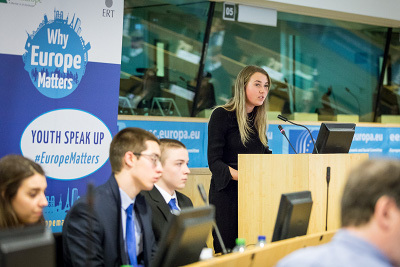 The final event of the 'Why Europe Matters' campaign took place on 21 March at the European Committee of the Regions in Brussels. 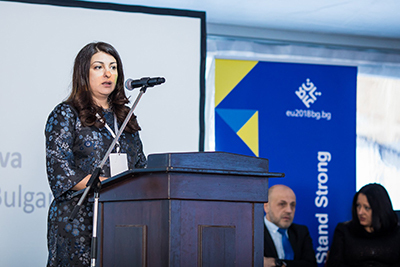 The occasion - held under the patronage of the Bulgarian EU Presidency - was designed to foster the dialogue between young Europeans, policy-makers and business representatives. 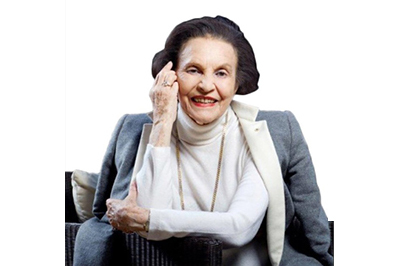 Last week, the Bata Shoe Museum announced the passing of a great visionnary, Mrs Sonja Bata, a long-term supporter of Junior Achievement. 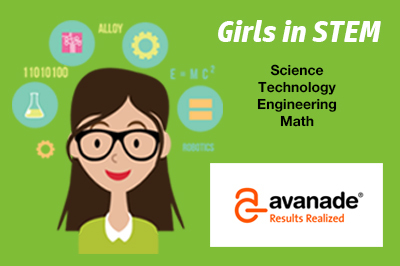 JA Europe and Avanade, are joining efforts for a second academic year to empower, upskill and educate young women about technology, enabling them to make a considered decision on choosing a career in Science, Technology, Engineering and Math (STEM). 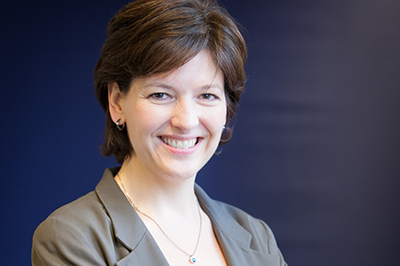 A detailed survey of five EU member states in which schools have been teaching entrepreneurship confirms impressive benefits for young people, businesses, and wider society, explains Caroline Jenner. CCV and JA Europe are launching a new partnership in 4 Western European countries equipping 600 young people aged 15-18 with skills they need to get a job or start a business. ‘Locker Room Talk’ rocks the house! 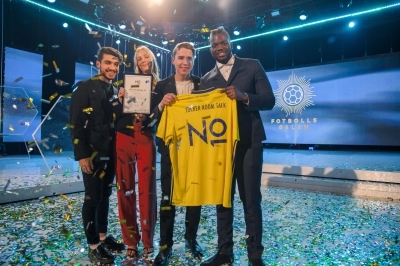 ’Locker Room Talk’, which started as a JA Company in Sweden, has once again been recognised for its excellence, receiving the “Number 10” cash prize of one million Swedish kronor (€100 000) by none other than football star Zlatan Ibrahimović! Building on three years of partnership, JA Europe and NN Group are joining forces for a fourth academic year to raise awareness of social innovation across the globe. The partnership includes three programmes: the Social Innovation Relay, Innovation Camps and Job Shadow Day. 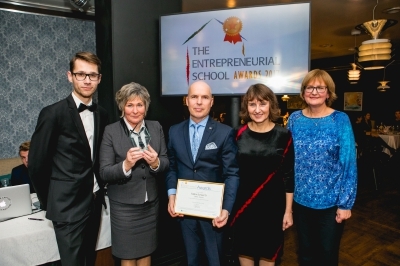 Leading European schools were honoured at a ceremony in Tallinn on 16 November for their track records of success in teaching entrepreneurship. 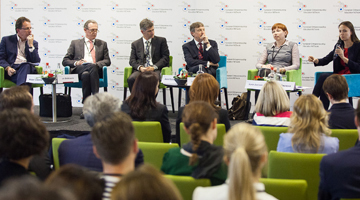 The event was the high point of a conference organised by the Innovation Cluster for Entrepreneurship Education (ICEE) under the sponsorship of the Ministry of Education of Estonia, the EU’s presidency-in-office. If half of the entire student population had practical experience of setting up a company while still in school, what would be the individual and wider societal impact? This is just one of the questions addressed by the Innovation Cluster for Entrepreneurship Education (ICEE). With the power to end poverty, build financial and career resilience, as well as prepare for the future of jobs, JA is ready to celebrate the Global Goals Week. 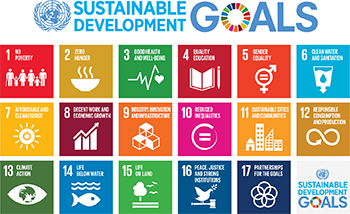 Since 2015, local and regional JA offices, business stakeholders, and schools have a unique opportunity to align their collective work to The Global Goals. The goals were developed to enable us all - the citizens in the world - to understand and act accordingly, to make sure that we in cooperation can create the future we want to live in. The new partnership project ‘Inventing the Future’ blends entrepreneurship and STEM education to bring innovation and creativity into the classroom. Young entrepreneurs from six member states have found a place on Ferd’s List, a new annual celebration of European entrepreneurship. The List recognizes the achievements of these award-winners not only as entrepreneurs but also as significant contributors to society. 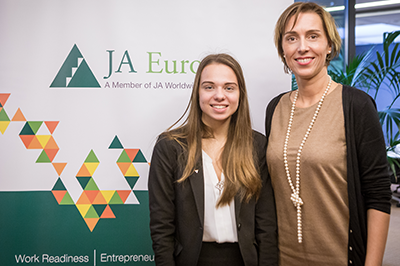 JA Europe and Euroclear, are collaborating for a fourth consecutive year in a skills-based volunteering campaign promoting entrepreneurial and business skills among students. On 17-20 July, the JA Global Leadership Conference 2017 took place in Atlanta (Georgia). Under the theme ‘One JA’, the conference gathered some 300 JA leaders from across the globe, committed to align with the current strategic priorities and prepare for the upcoming JA Centennial in 2019. The event was also the occasion to celebrate JA’s success and recognize personalities who exemplify JA. A special celebration dinner recognized those who had 30, 35 and 40 years of service to JA and announced the recipients of various prestigious awards. 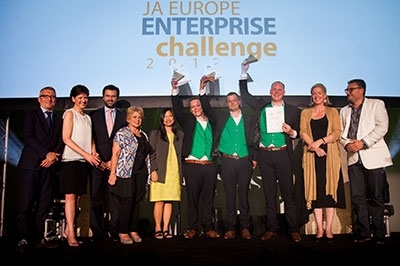 JA Europe distinguished itself by winning three out of the four international awards. 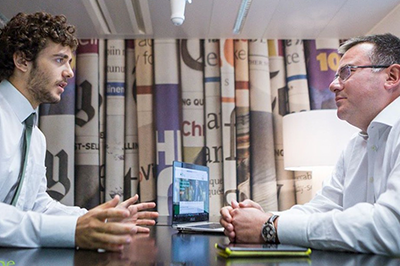 The European Enterprise challenge hosted this year by JA Finland gathered 19 Startups from 15 countries in Helsinki. University students who took part in the ‘Start Up Programme’ were competing and presenting their start-ups to a selected jury. The partnership will continue to support young people across Europe to develop employability skills and entrepreneurial mind-sets through the Citi Foundation’s Pathways to Progress initiative. 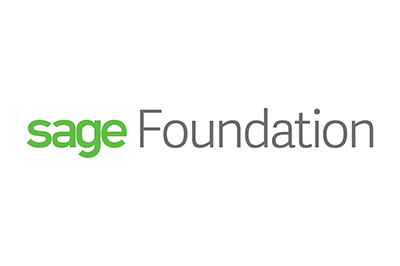 JA Europe and the Citi Foundation are celebrating 30 years of partnership with the renewal of a grant to work together in 19 European countries across Europe. Early this year, the Citi Foundation expanded their Pathways to Progress initiative globally with a $100million commitment to support 500,000 young people over the next three years to become career ready. The $1.2million grant from the Citi Foundation to JA Europe will equip secondary school students with employability skills and entrepreneurship mind-sets through the Junior Achievement’s Company Programme. 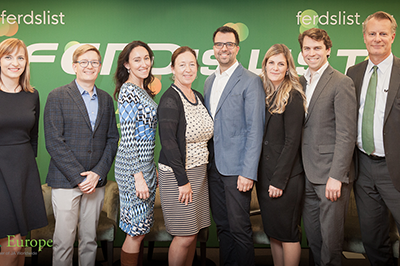 FERD’S LIST is a partnership between JA Europe and FERD, to recognize and celebrate young men and women on a unique path to “creating enduring value and leaving a lasting footprint”. 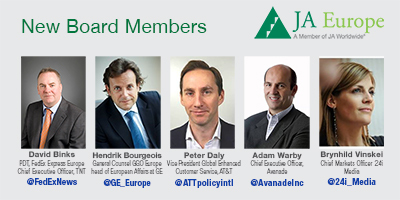 Outstanding JA alumni, 5-10 young men and women will be nominated from across Europe. 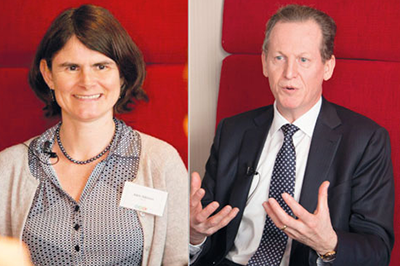 The Social Innovation Relay (SIR) is a JA Europe initiative, supported by NN Group. 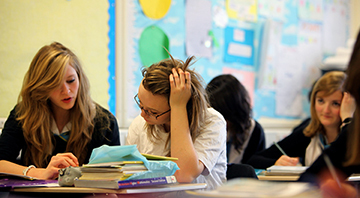 Its main aim is to inspire secondary students to develop innovative business concepts that address social challenges. 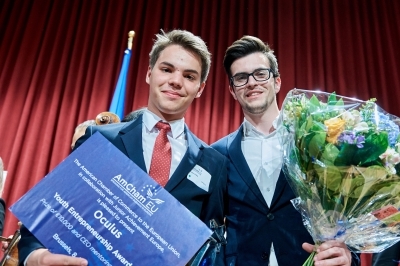 The American Chamber of Commerce to the European Union (AmCham EU) and Junior Achievement Europe (JA Europe) are delighted to announce that Oculus, a Romanian start-up, is the winner of the fifth AmCham EU Youth Entrepreneurship Award. Oculus developed the Mitra Glasses, a device that provides essential aid and safety to visually impaired people during movement, using incorporated sensors and efficient algorithms. 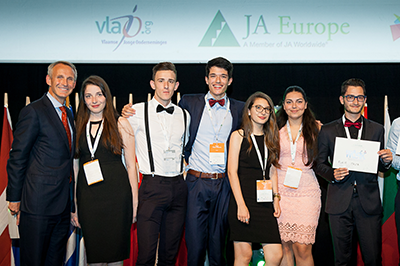 The 8th European final of the Sci-Tech Challenge, organised by JA Europe and ExxonMobil, took place on 10 May 2017 in Brussels. This year’s theme was low emissions mobility. 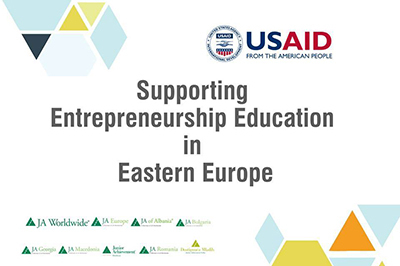 The Official Opening Round Table of the project “Supporting Entrepreneurship Education in Eastern Europe” took place in Tirana, Albania on April 21, 2017. This 3-year project is supported by USAID with the aim to prepare young people with skills and competences they will need to succeed in a global economy. 100,000 young people in Serbia, Georgia, Macedonia and Moldova will benefit. 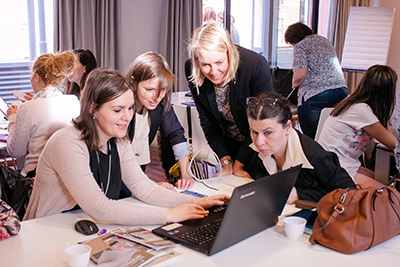 On 31 March 2017, JA Europe together with 7 other JA organisations (Bulgaria, Estonia, Finland, Greece, Romania, Spain and Sweden) held a teacher training session in Brussels connected with the development of the new e-learning module for the core programme "JA It's My Business". 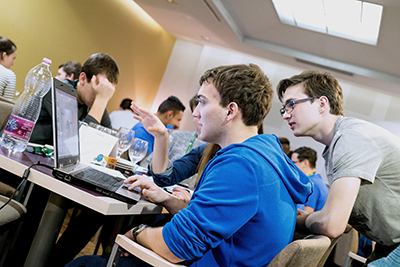 The 8th European Online Sci-Tech Challenge took place on 21 March 2017. The best national Sci-Tech Challenge teams from Belgium, France, Italy, Netherlands, Norway, Romania and the UK had the opportunity to present their solutions on how to reduce the greenhouse gas emissions. A major new initiative labelled ‘Why Europe Matters’ is today being launched to re-engage Europe’s youth in a multinational debate with politicians and business leaders. The European Round Table of Industrialists (ERT) and JA Europe are to survey more than 10,000 youngsters about their hopes and concerns. The cross-border project – launched to mark the 60th anniversary of the Treaty of Rome – aims to increase enthusiasm and interest in forging a stronger Europe. 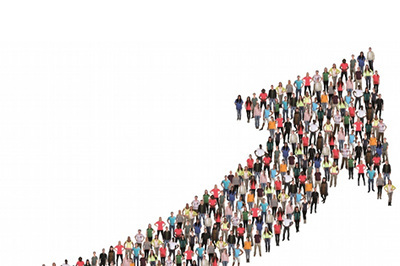 Worldwide, youth unemployment figures continue to be one of the most distressing statistics. They are a constant reminder of how much we have been neglecting education. Activating young people for the future of jobs is more critical than ever: Fighting unemployment is as much about jobs as it is about job creation. Europe’s start-up rates remain low compared to other parts of the world. 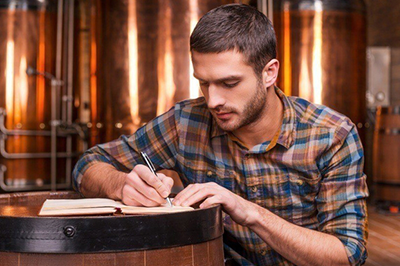 Yes, we need skilled employees, but we also need more entrepreneurs and new businesses. JA Europe and the Citi Foundation are working together across 19 European countries to equip secondary school students with entrepreneurship and financial literacy skills. JA Europe and Monsanto are expanding their partnership from six to 10 European countries, seeking to equip students with the skills they need to get a job or start a business in the agricultural industry. 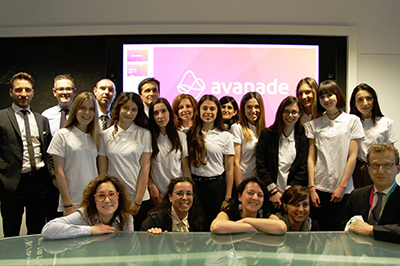 JA Europe and Avanade have agreed to launch a new effort worldwide. The program focuses on empowering, upskilling and educating more than 500 girls on technology, enabling them to make a considered decision on choosing a career in Science, Technology, Engineering and Math (STEM). Why should we inspire girls to choose STEM? 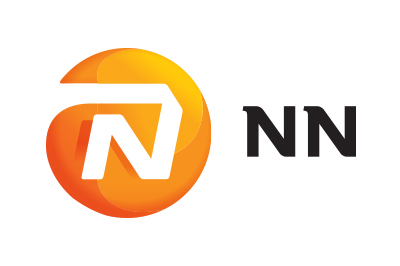 JA Europe and NN Group are starting the third year of their global partnership dedicated to empowering young people to embrace social innovation and master their own economic future. 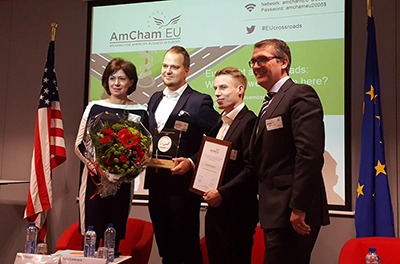 The American Chamber of Commerce to the European Union (AmCham EU) and Junior Achievement Europe are pleased to announce that MeetingPackage.com, a Finnish start-up, is the winner of the 2016 AmCham EU Youth Entrepreneurship Award. MeetingPackage.com is an online platform dedicated to the booking of meeting rooms. 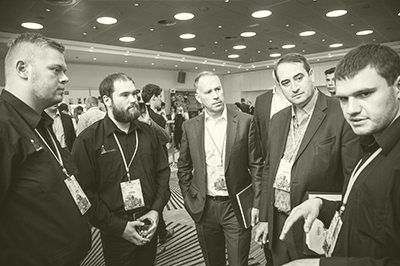 It allows users to compare various meeting venues and prices at a glance. 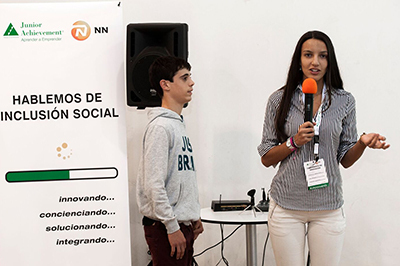 JA Spain and Nationale-Nederlanden Spain organized an Innovation Camp to promote social integration of people with intellectual disabilities. 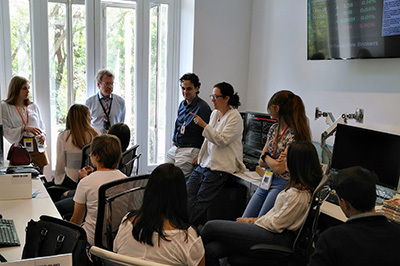 Students of ESO, Baccalaureate, FP and Aprocor have worked together on coming up with social innovations. 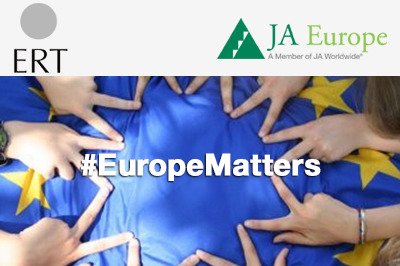 JA Europe and Euroclear are kicking-off the third year of the partnership focused on volunteering involvement in eight European countries. 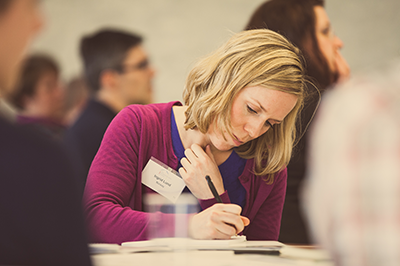 A key success factor of our programmes is the involvement of business volunteers. 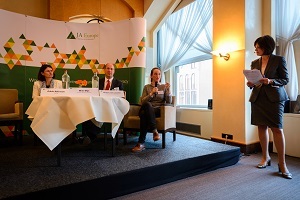 35 young Europeans participated in Leaders-for-a-Day on 19 October an initiative of JA Europe offering them the opportunity to learn from top leaders by shadowing them during an entire working day. 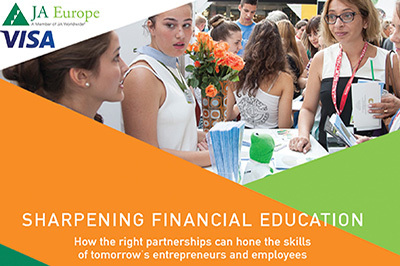 • JA Europe and Visa Europe launch a new report on financial education that analyses the gap between young people’s financial capability and employers’ needs in terms of financial skills and knowledge. 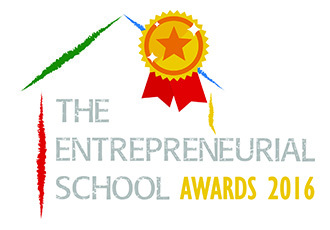 • 17 schools from 17 countries across Europe won The Entrepreneurial School (TES) Awards 2016, a national and European recognition of the best schools championing entrepreneurship education. 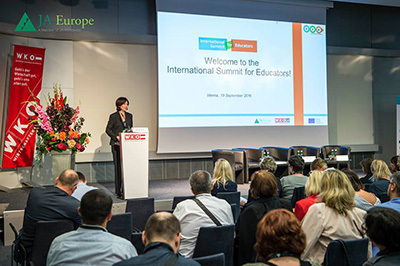 More than 150 educators and practitioners from 25 countries gathered in Vienna on September 19 and 20 to attend the International Summit for Educators organised jointly by JA Europe and the Austrian Federal Economic Chamber. 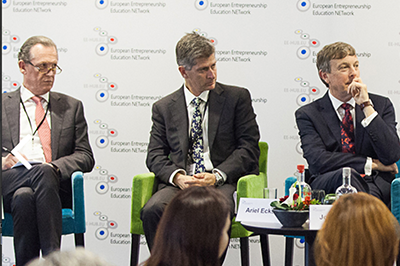 In the framework of the ICEE Innovation Cluster, 3 new articles on entrepreneurship education have been recently published. 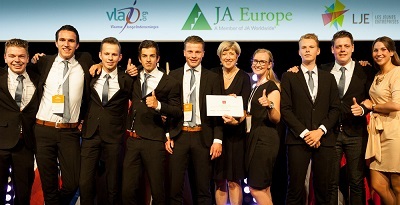 SubReader, a students’ mini company from Denmark won the JA Europe Company of the Year Competition (COYC) Award 2016. 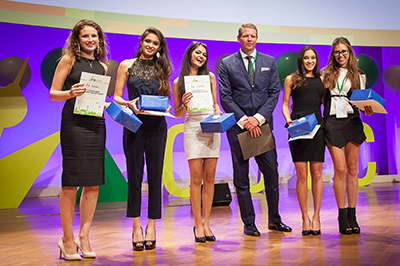 JA Europe’s ‘Company of the Year Competition’ celebrates the best 200+ young entrepreneurs across 35 countries in Europe. JA Europe Company of the Year Award recognises the student company that demonstrates the best approach to communication, teamwork, problem-solving, objective-setting, planning and review, administration and financial systems, personnel management, product development, customer focus, marketing and sales, as well as financial results. University ‘Start Up Programme’ students from Romania win top honours at the 2016 European Enterprise Challenge. Bucharest, 1st of July 2016 – Social Enterprise 360 (SE360) is a European educational program in the field of social entrepreneurship, developed by Junior Achievement Romania in partnership with organizations from 7 countries and co-financed by the European Union through Erasmus+ program. 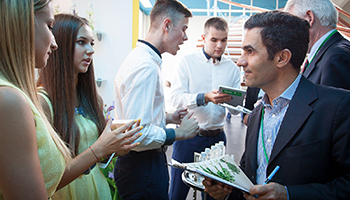 More than 10.000 high school students from 373 schools, came up with 668 social business ideas with the help of the 507 teachers and more than 200 business consultants during the 2015-2016 period. 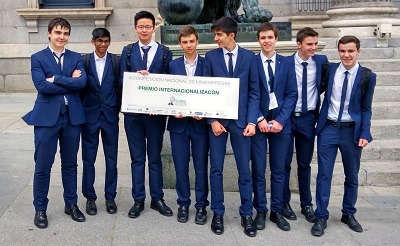 Brussels, 30 June 2016 – SOSElder, a students' company from Spain won first place at the 2016 European Finale of the Global Enterprise Project (GEP). Over 2000 students enrolled in the programme this year were offered several types of activities including a globalisation quiz, access to a resource center about globalisation, a case study delivered by 108 business volunteers, a practical entrepreneurial experience (JA Company Programme) as well as the participation to the Globalisation National & European Awards. 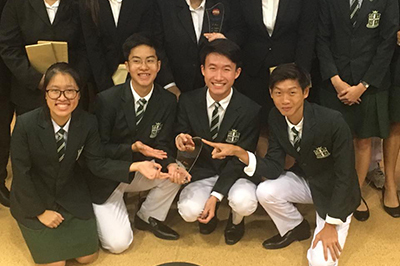 Oculus, a students’ team helping the visually impaired to become more independent in their movement won the Global Finale of the Social Innovation Relay 2016. 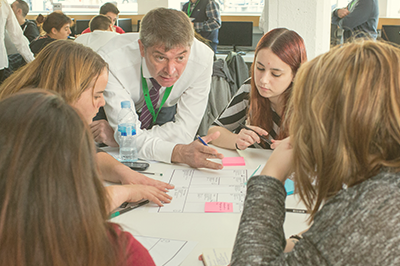 The Social Innovation Relay (SIR), a JA Europe initiative, is supported by NN Group and aims to inspire secondary students to develop innovative business concepts that address social challenges. 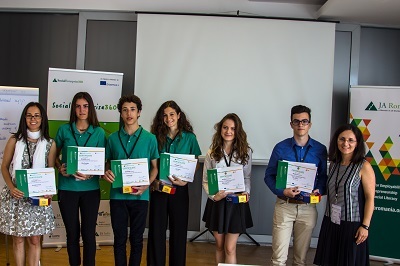 15 years old Spanish students founded Growink and won the 2016 European Finale of Social Enterprise 360, a social entrepreneurship education programme organised by JA Europe. Social Enterprise 360 is a programme funded by the European Commission via Erasmus+ programme which aims to provide students practical entrepreneurial experience and opportunity to develop transversal skills around a social business project. 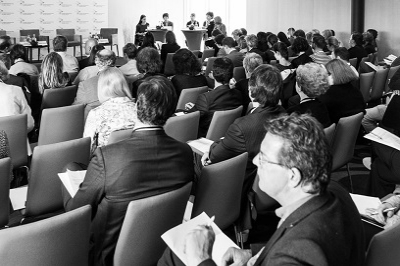 JA Europe and the Austrian Federal Economic Chamber (WKO) announce the establishment of the ESP Advisory Council in support of the Entrepreneurial Skills PassTM, a unique international qualification in entrepreneurial skills, knowledge and competences for 15-19 year olds. 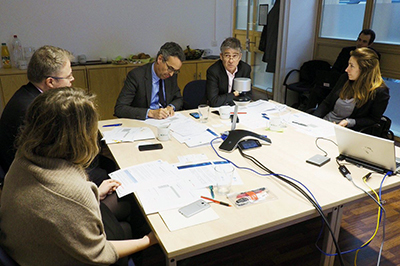 In line with the upcoming New Skills Agenda for Europe, the ESP Advisory Council is committed to boost recognition of the competences and skills young people acquire through initiatives like the Entrepreneurial Skills PassTM and promote greater uptake of entrepreneurship education at schools across Europe. 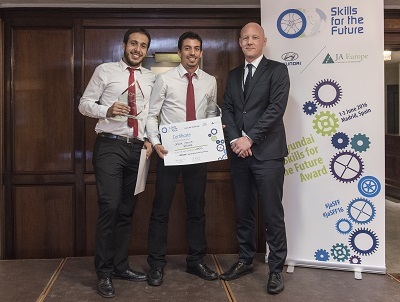 Student team AMECS from Spain (Madrid) won the Hyundai Skills for the Future Award 2016. Their innovative heating system helps you manage the temperature of your car cabin in a sustainable way through a mobile app, to pre-heat or pre-cool the cabin without consuming fuel. 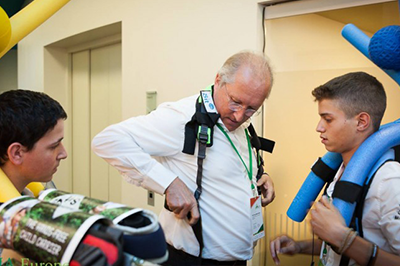 A joint initiative between JA Europe and Hyundai Motor Europe, Skills for the Future aims to inspire a more entrepreneurial generation that can clearly connect their education and future careers, with a focus on sustainability in business. 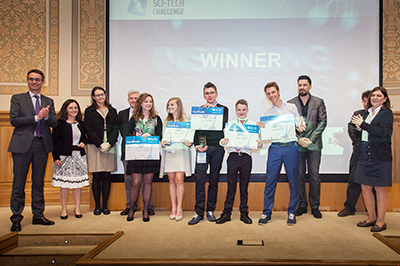 The 7th European finale of the Sci-Tech Challenge took place on 25 May at the European Parliament including an award ceremony and a panel debate hosted by Adina-Ioana Valean, Vice-President of the European Parliament, in the presence of Pascal Smet, Brussels Mobility Minister. Winning team from Romania proposed to solve Brussels’ traffic congestion problem by offering an integrated approach to increase efficiency of existing public transport, whilst producing additional energy. 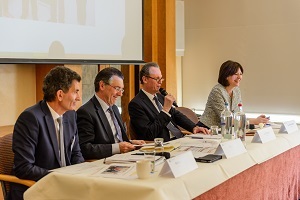 In the context of the Netherlands EU Presidency 2016 as well as the OECD Global Symposium on Financial Resilience throughout Life, JA Europe board members and CEOs from across Europe gathered on 20-21 April to discuss financial education challenges for youth. JA Europe and Monsanto have launched a new partnership in 6 European countries that seeks to equip 900 students with the skills they need to get a job or start a business in the agriculture industry. Through the initiative, students aged 15-18 have the opportunity to try their hand at entrepreneurship with the mentorship of Monsanto business volunteers from across Europe. 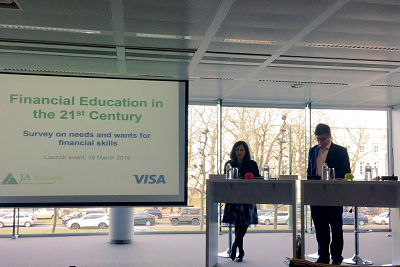 JA Europe and Visa Europe launch a new survey on financial education, as an endeavour to analyse the financial skills gap faced by young people in Europe. 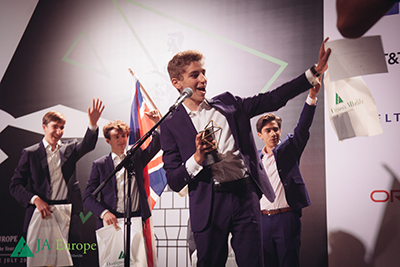 Students from 10 Eurasian countries (Belgium, France, Italy, Kazakhstan, the Netherlands, Norway, Poland, Romania, Russia and the UK) participated in the online competition jointly organised by JA Europe and ExxonMobil. 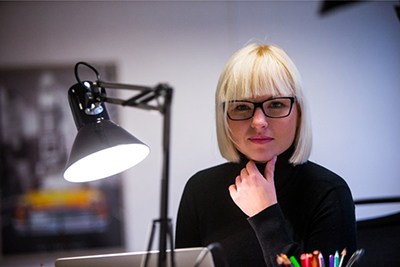 Teaching schoolchildren the skills to turn creative ideas into entrepreneurial action is on the rise, with the most comprehensive entrepreneurship education in place in Nordic countries and Estonia. 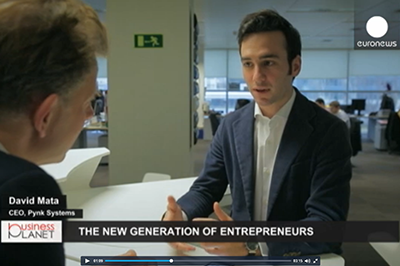 Business Planet producer Serge Rombi explores how young people are learning to become the entrepreneurs of the future. Inspiring and teaching young people the basics of entrepreneurship is the business of Junior Achievement. 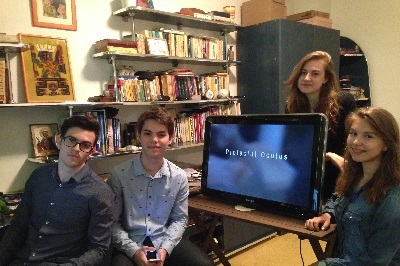 We met Blanca Narváez, director of the organisation in Spain. 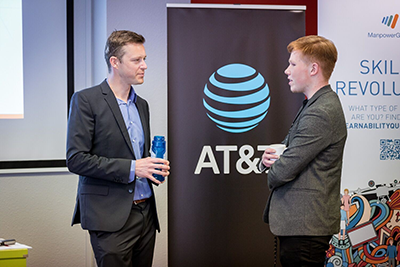 AT&T expands its support of Junior Achievement’s entrepreneurship programmes – aims to reach over 2,000 students across 10 European countries in 2016. 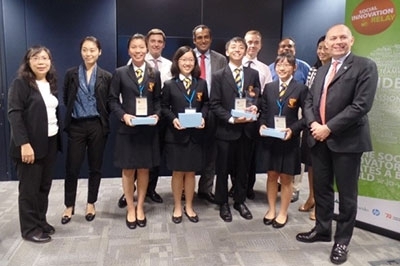 Young British entrepreneurs SoberDrive, who won the Hyundai Skills for the Future Award in 2015, will be at the Asia Pacific Junior Achievement (JA) Company of the Year Competition in Seoul, Korea on February 21-24. 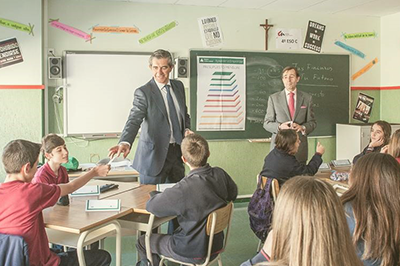 JA Europe, in cooperation with its membership across Europe, is launching the ‘JA Back to School’ campaign, an endeavour to bring more entrepreneurship into the classroom. 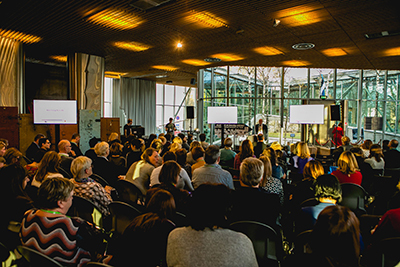 Members of National Parliaments (MPs) and Members of the European Parliament (MEPs) are invited to (re)connect with schools in their country and witness entrepreneurship education in action. Research by the Money Advice Service maintains that adult habits around money can be formed as early as the age of seven. 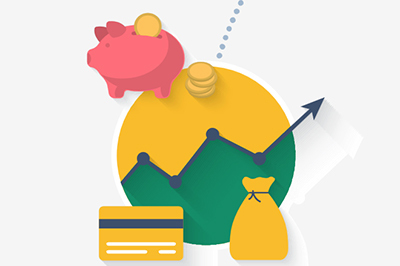 And in this fast evolving technical age, where the whole, traditional transaction of purchase is often unseen (just look at iTunes and Uber), Visa Europe believes that teaching young people money management is more essential than ever. Five JA Alumni featured: MEP Eva Paunova (Policy); Ionut Budisteanu, VisionBot (Industry); Cornel Amarie, Continental Automotive Systems (Industry); Karolis Misiuna, PhD Candidate, University of Cambridge (Science & Healthcare); Konrad Kierklo, CEO, Miinto Group (Retail & E-Commerce) | NEW THINGS ARE springing from the Old World. 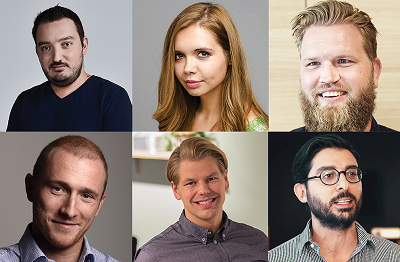 Our first-ever 30 Under 30 Europe list builds on our efforts to spotlight the young elite (the American honor roll is now in its fifth year) and spans ten diverse categories. JA Europe and NN Group are partnering to implement the sixth edition of the Social Innovation Relay (SIR), a global initiative which brings together experienced business mentors and students to advance real world social problem-solving in their local communities and beyond. ENTERPRISE CHALLENGE: Over 90 “startup students” from 16 EU countries will compete in the annual European Enterprise Challenge from Wednesday to Friday. 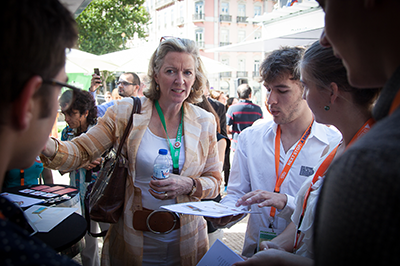 Organized by youth-training non-profit JA Europe, the Lisbon event will see the hopefuls pitch their startups to experts for awards. Tone Helstad Glomsrud og Øyvind Eriksen var torsdag representert i Brussel da Rakkestad ungdomsskole mottok europeisk pris for sitt Ungt Entreprenørskaps-arbeid. Eleven schools from Denmark, Finland, Germany, Greece, Italy, Norway, Poland, Portugal, Romania, Slovakia and the United Kingdom won the Entrepreneurial School Award, a European and national recognition for the best schools championing entrepreneurship education. 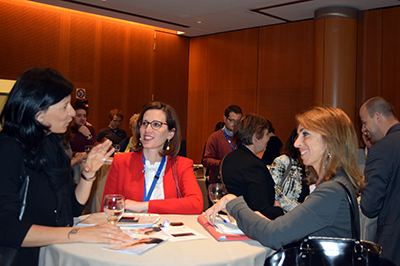 The ceremony, with Junior Achievement (JA) Europe as a leading organisation behind the initiative, was hosted at the European Parliament in Brussels on 15 October. 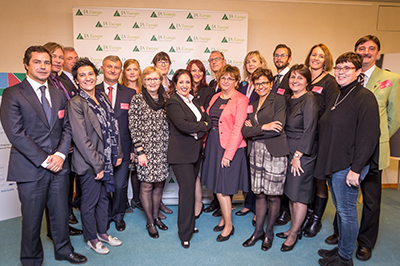 JA Europe, Europe’s largest provider of education programmes for entrepreneurship, work readiness and financial literacy hosted their annual Leaders For a Day event in Brussels on October 14. During the event, qualified students from around the EU met to network and spend a day with various leaders around the city. The purpose of the event was to give opportunities to students who excel in business to shadow a ‘leader’ for a day, while giving leaders an opportunity for feedback, reflection and growth. Über 250 Jungunternehmer aus 36 europäischen Ländern kämpften mit ihren Teams vom 28. bis 30. 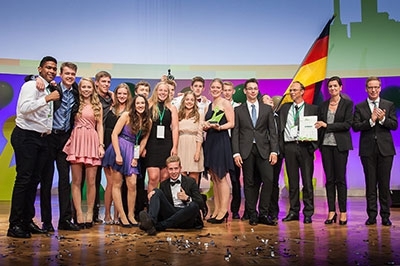 Juli 2015 in Berlin bei der 26th JA Europe Company of the Year Competition darum, Europas beste Schülerfirma zu werden. Am Ende konnte das deutsche Unternehmen RAUTECK sich über den Heimsieg freuen. 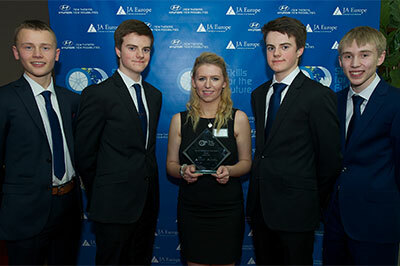 After being awarded first place in the national Young Enterprise Company of the Year competition in early July, sixth-form students from St Helen’s School’s team Orenda joined over 200 students from 36 European countries in Berlin last week to represent the UK in the finals of the JA Europe Company of the Year Competition (COYC). 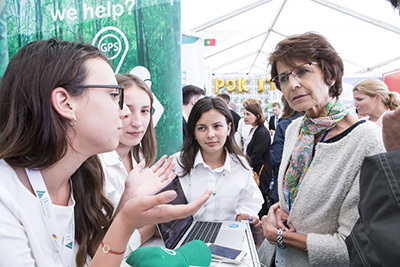 An Israeli student-company from the Kadima-Zoran middle school has placed third among 37 teams competing in this year’s Junior Achievement Europe Company of the Year competition. The contest, held in Berlin, celebrates the top mini-companies from 36 countries across Europe and gives them an opportunity to set up and run a real business with the support of business mentors. 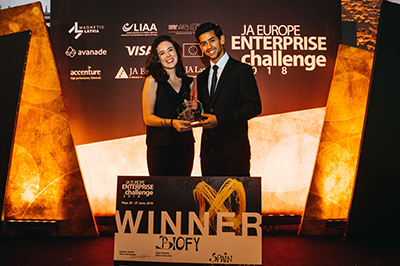 Orange, a student-company from St Aloysius College, has won the Excellence in IT Award at the Junior Achievement (JA) Europe 26th annual Company of the Year competition in Berlin. 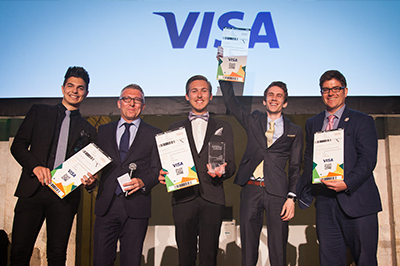 Orange was one of 37 student teams from 36 countries competing for seven awards on the night. The company represented Malta after winning the JA-YE (Young Enterprise) Malta Sixth Form Company Programme in May earlier this year. 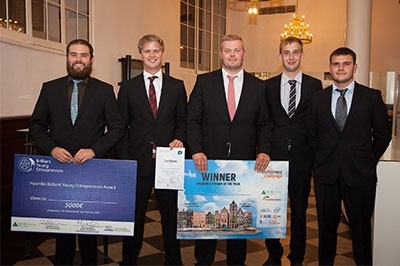 University ‘Start Up Programme’ students from Denmark win top honours at the 2015 European Enterprise Challenge. Competing against 23 other companies from 16 European countries, Gas2Green won the overall award for best enterprise, additionally winning the ‘Hyundai Brilliant Young Entrepreneurs Award’. VisionBot este un start-up ce produce și comercializează un robot de tip „pick and place”, capabil să creeze în mod automat produse electronice plasând rapid și cu înaltă precizie componente într-o placă cu cablaj imprimat. 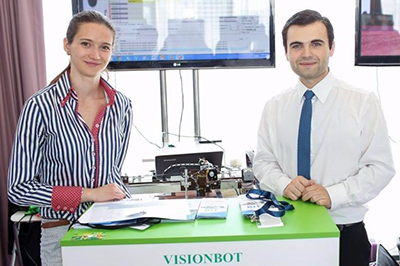 Având cel mai competitiv preț de pe piață, robotul VisionBot este dedicat inginerilor, inventatorilor, pasionaților și IMM-urilor care doresc să-și transforme produsele prototip în produse de serie (computere, echipamente electronice sau orice alt produs cu circuite integrate), având un volum de producție de până la 75.000 de unități pe an. 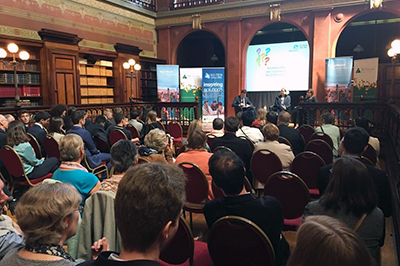 The first pan-European body dedicated to moving entrepreneurship education forward in Europe was officially launched on Thursday, May 6th by JA Europe following two roundtable discussions with several industry leaders and policymakers. With jobs and growth being the focus of the EU for the next five years, boosting European entrepreneurs has become increasingly important. However, in a borderless Europe, young people entering into business will need a skills and training course that will be recognised wherever they go. It’s said the easy part is getting an idea, the hard part is making it real. The latest Eurobarometer survey shows increasing concerns on immigration, economic and unemployment issues. Europe hasn’t done enough to invest in long term solutions to job creation and poverty reduction and we are now realizing how poorly equipped Europe is to handle these challenges. JA Europe and the Citi Foundation have renewed their partnership and will continue to foster entrepreneurship in Europe at secondary and post-secondary education level. As part of the Citi Foundation’s global Pathways to Progress initiative the Foundation will support the JA Company Programme and Start Up Programme, both of which help prepare young people to thrive in today’s economy. Students will be equipped with invaluable skills in both entrepreneurship and financial literacy. 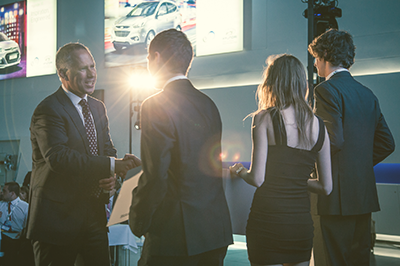 For the fourth consecutive year, Hyundai Motor Europe and JA Europe are partnering to encourage young people to improve Europe’s ability to remain competitive and innovative. The ‘Skills for the Future’ initiative aims to improve the entrepreneurial skills and employability of Europe’s young people by building their competences in Science, Technology, Engineering and Math (STEM) and awareness on sustainability in the automotive industry and beyond. 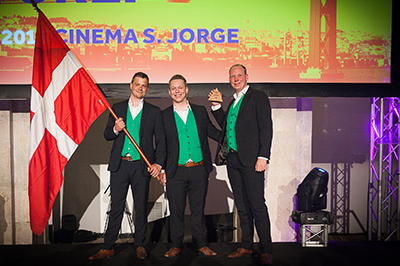 AmCham EU and JA Europe are pleased to announce that COOL4SEA, a Danish start-up, is the winner of the 2015 AmCham EU Youth Entrepreneurship Award. COOL4SEA, founded by JA alumni, has developed innovative technology to harness energy from heat on-board ships so it can be used for cooling, resulting in impressive environmental and economic benefits for the shipping industry. The jury was impressed not only with the innovative concept, but with the significant technical and engineering skills required to develop such technology. 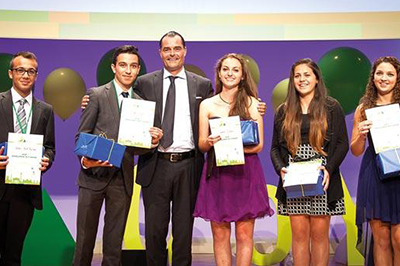 Organized in collaboration with JA Europe, the award aims to showcase young people with entrepreneurial talent. 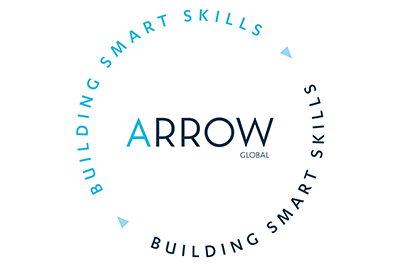 ManpowerGroup (NYSE: MAN), the world’s workforce expert, became a partner of JA Europe’s Entrepreneurial Skills Pass (ESP), a certification of young people’s entrepreneurial competences and work-readiness. By endorsing the ESP, ManpowerGroup is committed to offering opportunities to the program’s students, offering real-life business experience and engaging ManpowerGroup employees to provide mentorship, advice and counselling to those enrolled in the program. 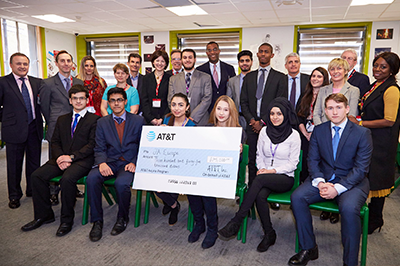 Building on last year’s success, JA Europe and Barclays are partnering for a second year to guide the next generation on the path to success, entrepreneurship, employability and financial skills. 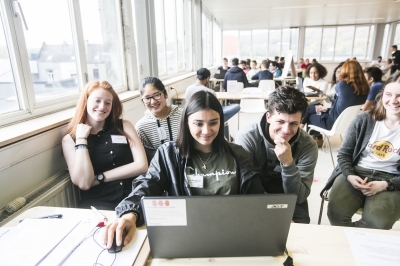 By joining forces in 6 European countries, Barclays and JA Europe are creating unique opportunities for 15,000 disadvantaged students to gain skills, competences and experiences that will make them more competitive on the labour market or prepare them to start a business. Eleven schools from eleven countries across Europe won The Entrepreneurial School Awards 2015, a national and European recognition of the best schools championing entrepreneurship education. 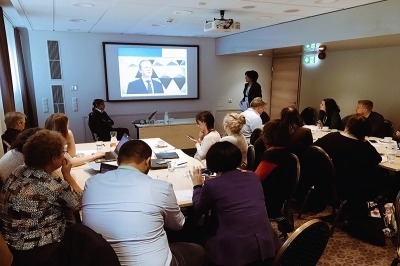 36 young leaders from 14 European countries, recipients of the Entrepreneurial Skills Pass got the chance to step in the shoes of business and policy leaders for one day. 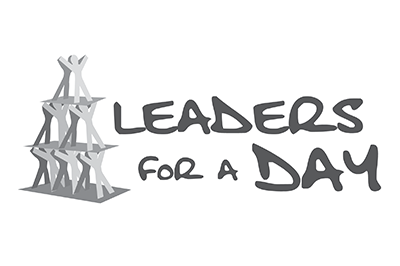 Leaders-for-a-Day provides young Europeans, who have completed entrepreneurship education programmes and obtained the Entrepreneurial Skills Pass certification, with the opportunity to learn from a top leader by shadowing him/her during an entire working day. The Entrepreneurial School Awards will reward representatives from the 11 winning schools from Denmark, Finland, Germany, Greece, Italy, Norway, Poland, Portugal, Romania, Slovakia and the United Kingdom. They will meet in Brussels for a ceremony hosted by the European Parliament to receive the award recognizing their merit in entrepreneurship education. Obtaining a new Entrepreneurial Skills Pass (ESP) proves that a student has strong entrepreneurial skills and business acumen. A unique international qualification is launched today aiming to give students access to further opportunities and facilitate their transition from education to entrepreneurship or employment. 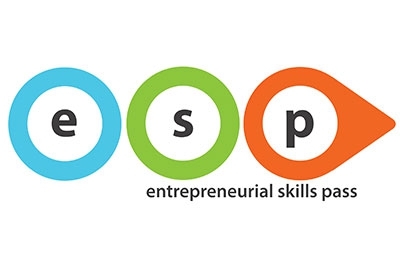 The Entrepreneurial Skills Pass (ESP) runs in 26 countries* and certifies students (aged 15-19) who have had a practical entrepreneurship experience and have gained the necessary knowledge, skills and competences to start a business or be successfully employed. 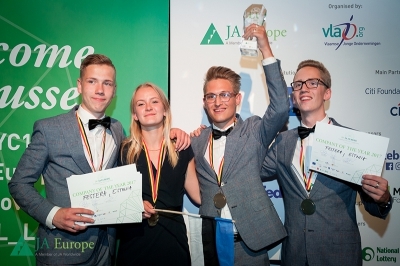 RAUTECK student-company from Germany crowned as winner of the JA Europe Company of the Year Competition (COYC) after impressing the judges with their strong business concept. On Wednesday, Barclays launches its two year sponsorship partnership with JA-YE, kicking off a two-year plan with six innovation camps in Spain, Russia, Italy, France, Germany and Portugal on the theme of increasing economic growth. MDs and CEOs of major internationals Accenture, Microsoft, LinkedIn amongst others* opened their C-suite doors this week to students aged 17-22 from high schools and universities in Bucharest, Amsterdam and Barcelona. 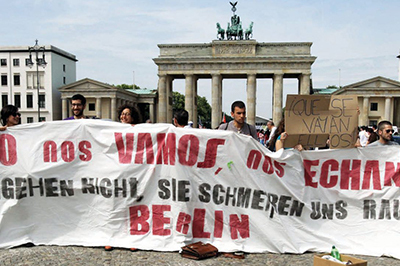 Unemployment and social inclusion issues? HopJob to the rescue! 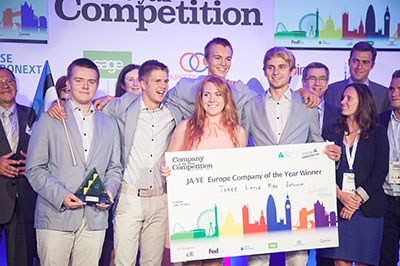 Students from Estonian company 3 Little Pigs, have today won the title of the Young Enterprise and Junior Achievement Europe (JA-YE) European Company of the Year 2013 after the UK hosted the final at Wembley, UK. Their company offers science shows to children aged 6-12. The hands-on experiments are available for private parties (birthdays and other events), schools and kindergartens and they have performed to over 1000 students. Students from Iceland took the top prize at the silver jubilee of the JA-YE Europe Company of the Year Competition 2014 with their innovative glass made out of Icelandic lava and black clay. They were competing against 37 other national winners from across Europe. 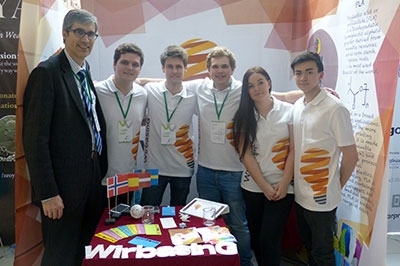 ‘Wirbasing Europe JV’, a student-company partnership between Wirbasing (Spain) and RAW Media UB (Norway), won the Global Joint-Venture Award based on their innovative wireless solar chargers for mobile devices. 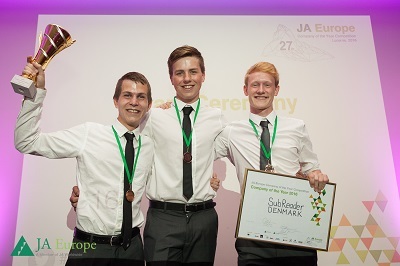 University ‘Start Up Programme’ students from Denmark win top honours at the 2015 JA Europe Enterprise Challenge. 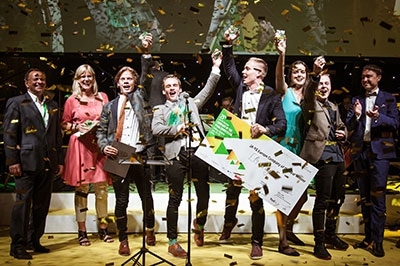 Competing against 23 other companies from 16 European countries, Gas2Green won the overall award for best enterprise, additionally winning the ‘Hyundai Brilliant Young Entrepreneurs Award’. The team was chosen based on their innovative idea and strong business potential, which offers a solution to an increasing problem in the maritime sector, where the ships discharge waste material into the oceans. 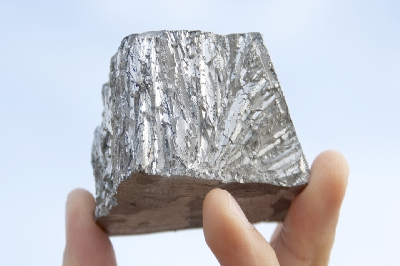 The team’s solution will recycle this unused waste material, by using renewable energy to power an electrolysis cell and produce hydrogen or biofuels. 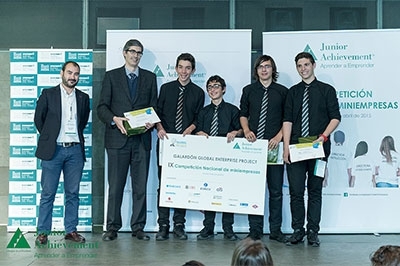 Spanish students win first place at the 2015 European Final of the Global Enterprise Project (GEP). Seeking to close the skills gap between business and education, business volunteers from a variety of global companies work together to equip young people with entrepreneurial competences and foster a greater world-view. 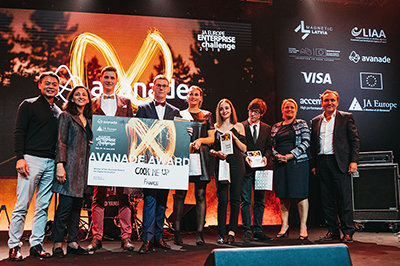 SoberDrive, a United Kingdom group, won big at the JA Europe Skills for the Future competition in Prague on June 10 with an invention that would revolutionize drunk driving self-regulation. 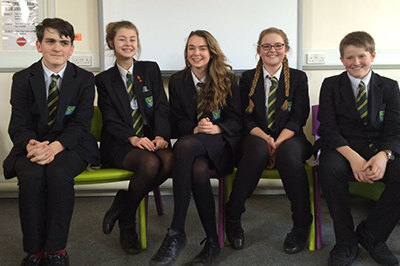 The student group of George Kershaw Houghton, Edward Kershaw Houghton, Callum Coles, Samuel Roberts and Lauren Palmer, were chosen for their concept of a socially responsible company and assisting in decreasing the number of drunk driving related incidents. GE (General Electric), one of the world’s leading innovation and technology specialists, opened the doors of the pop-up Garage in Brussels during the first two weeks of December. At a time when there’s a technology revolution unfolding behind the scenes in some industries, this initiative sets out to raise awareness amongst the general public, in particular the younger generation, and spur their interest. Across Europe this academic year, fifteen countries will run the JAYE Europe – Hyundai Skills for the Future programme 2014-2015. That represents a 300% increase in the number of countries participating since Hyundai Motor Europe started its collaboration with JAYE Europe in 2012. Inspired by the impact of the initiative on young students, schools in seven new countries will integrate the programme into their academic activities this school year 2014-2015. These are Denmark, Norway, Romania, Bulgaria, Slovenia, the Netherlands, and Austria. 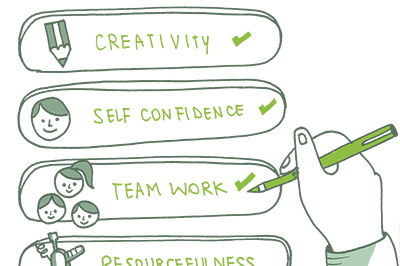 “If half of the entire student population received practical experience in setting up a company while still in school, what would be the individual and wider societal impact? 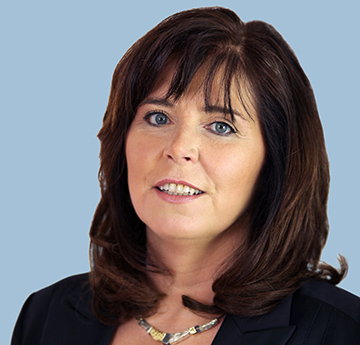 This is just one of the questions that will be addressed in this new three-year study,” says Caroline Jenner, CEO of JA-YE Europe, the largest provider of entrepreneurial education programmes in Europe. 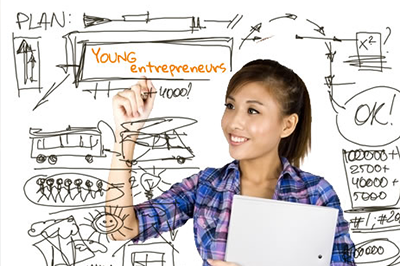 One out of two Wallonians aged 17 to 30 aspires to set up his own business but lack of confidence and funds prevent them from doing so, according to ASE (Agence de Stimulation Économique). From 3rd to 4th July, 85 University students gathered from 14 European countries to unleash their entrepreneurial potential and show how they fight for employability with motivation and enthusiasm during the European Enterprise Challenge. An energy efficient and environmentally friendly solution for the maritime sector, a revolutionary service for the logistics sector, an innovative solution for the construction sector are just a few of the business ideas that were presented between 2nd to 4th July 2014 from 80 university students in front of a jury who acted as potential investors. 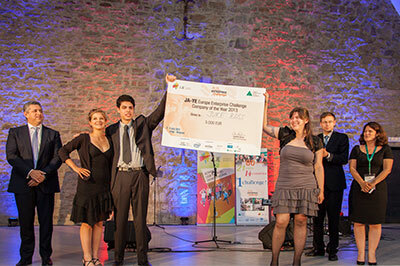 Young social entrepreneurs from the team ‘Auxilium’ in Former Yugoslav Republic of Macedonia (FYROM) won the 2015 ‘Best Social Enterprise Award’ based on their social enterprise concept. The team started running a canteen in the centre of Skopje, which provides warm meals for homeless individuals 12 hours a day. By receiving donations from local markets and bakeries the students are able to give back, while supporting their local community. 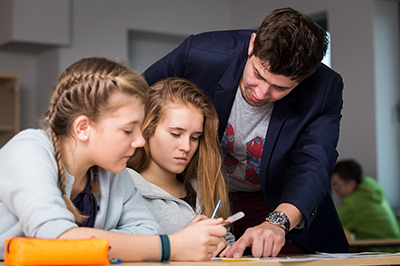 A new initiative aims to promote entrepreneurship education and make policy recommendations that can be put into effect by national school systems. 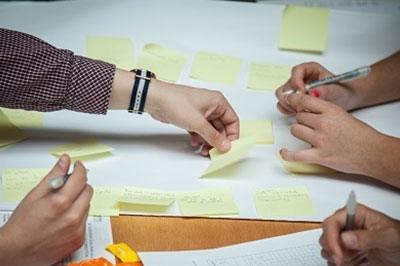 The European Entrepreneurship Education NETwork (EE-HUB.EU) will exchange information and experience, improving and creating synergies between the many initiatives in the field. 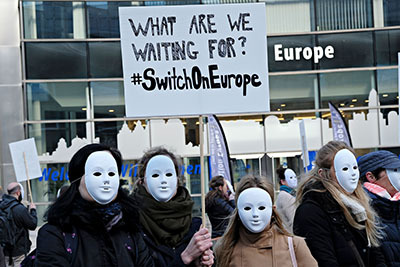 It has become almost commonplace to cite daunting statistics about the sustained level of youth unemployment in the EU, with some countries having as much as 25 percent of their youth out of work. We have gotten used to those statistics and these figures no longer make media headlines. This gives us a sense of false hope that the problem has been solved, or is being solved at the moment. No, it is not.